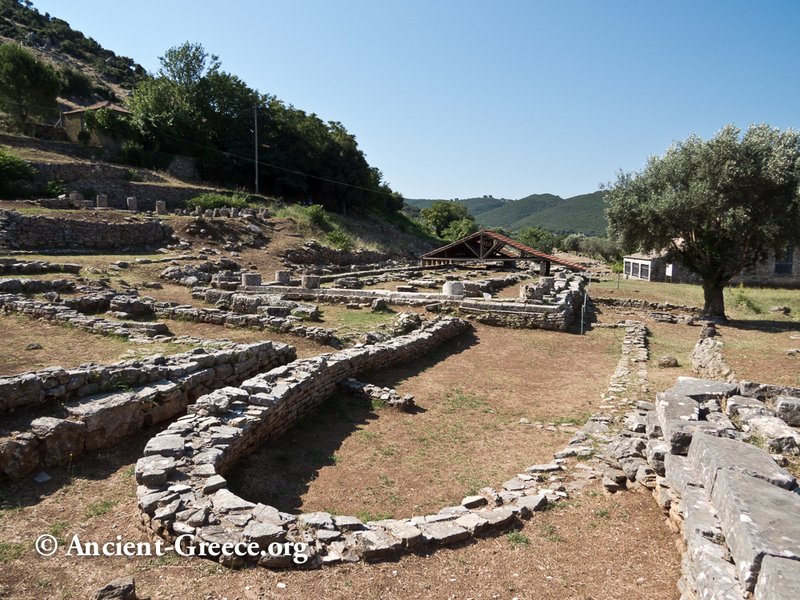 Thermos (Θέρμο, Θέρμος, Θέρμον, Thermon) is located in Aetolia in western Greece and it was inhabited continuously for 1500 years, from the Middle Helladic (early Mycenaean) era until the 2nd c. BCE. It was named after the hero Thermos who was accidentally killed by a discus thrown by his brother, Oxylos, who later became the king of Elis. 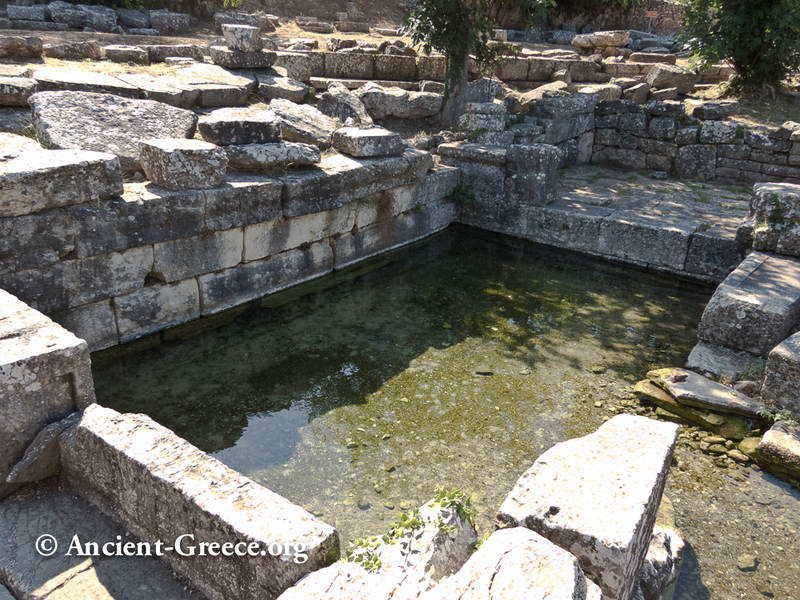 Its location in central Aetolia made it the most important cult place where Apollo Thermios was worshiped, and where the Aetolians held commercial gatherings, elections, and athletic games each year. 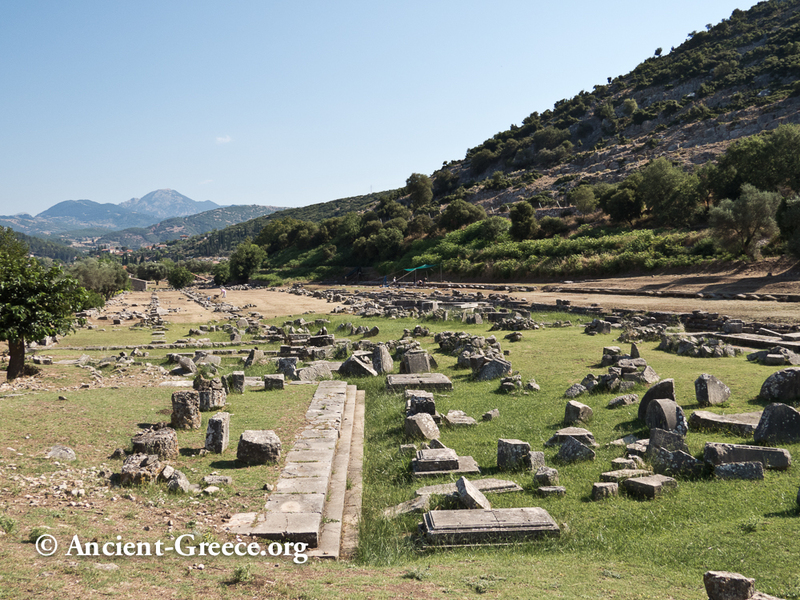 By the Hellenistic era the Agora was adorned by about 2000 statues, and the Aetolians had dedicated here a trophy representing a Gaulic panoply--similar to the one they dedicated at Delphi. 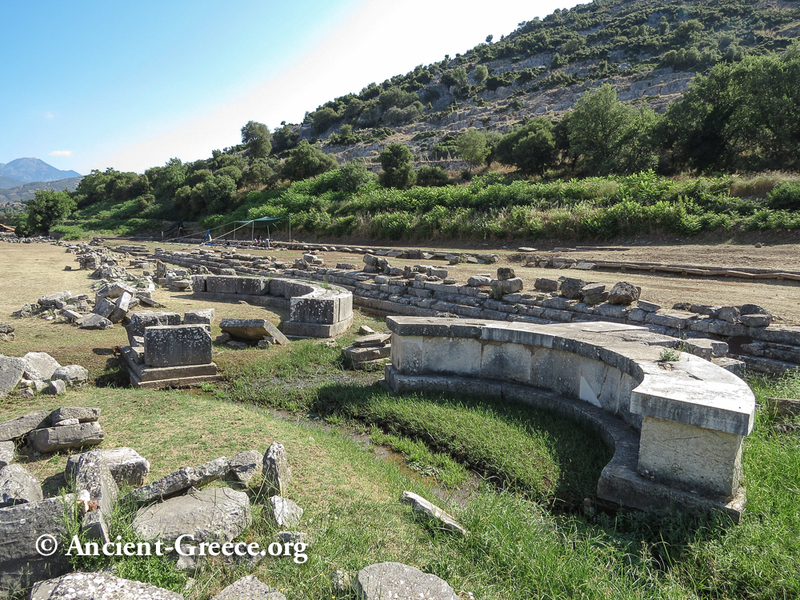 The sanctuary was destroyed by the Hellenic Kingdom of Macedonia in 218 and again in 206 BCE in revenge for the Aetolian's destructions of Dion and Dodona, and it was abandoned after the Roman conquest and the dispersal of the Aetolian League in 167 BCE. 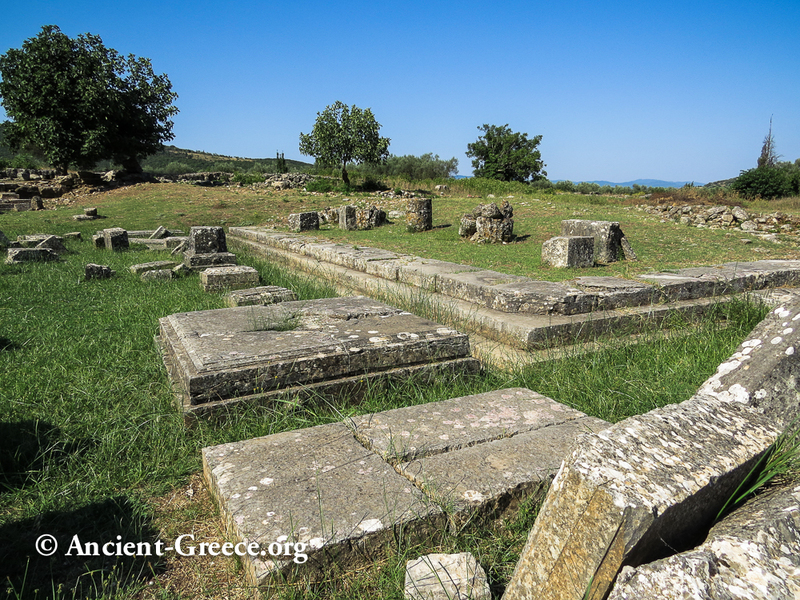 The site is important because the ruins trace the development of the Greek temple back to the prehistoric era: Megaron A is from the early Mycenaean Era, Megaron B from the early Iron Age era, and the Temple of Apollo Thermios is one of the earlies Doric temples in Greece. 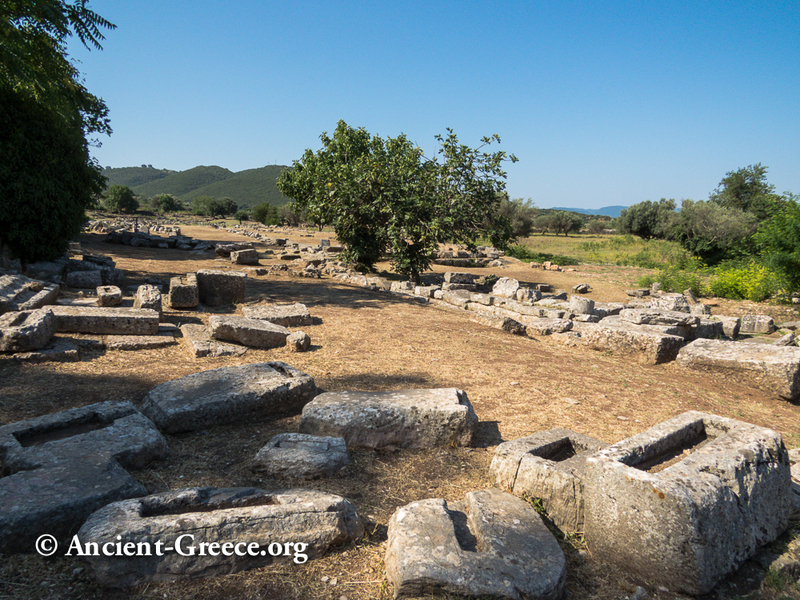 Panoramic view of the prehistoric ruins at the north end of the sanctuary. Megaron A from the south. 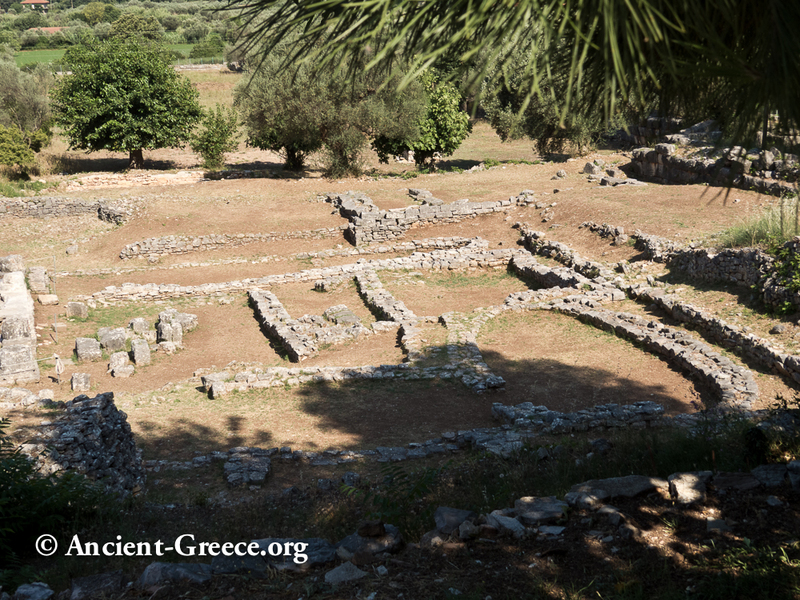 The Temple of Apollo Thermios north-east corner. 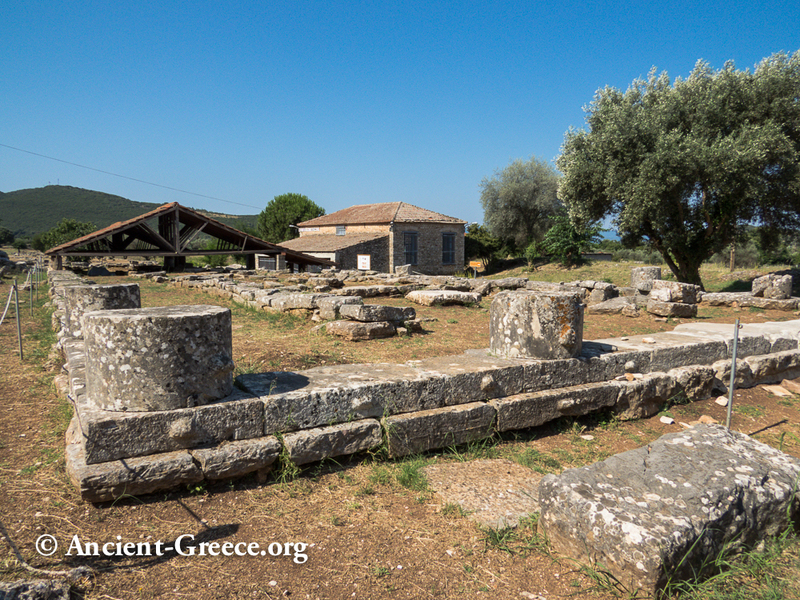 It is one of the earlies Doric Temples in Greece and dates to the Archaic Era. 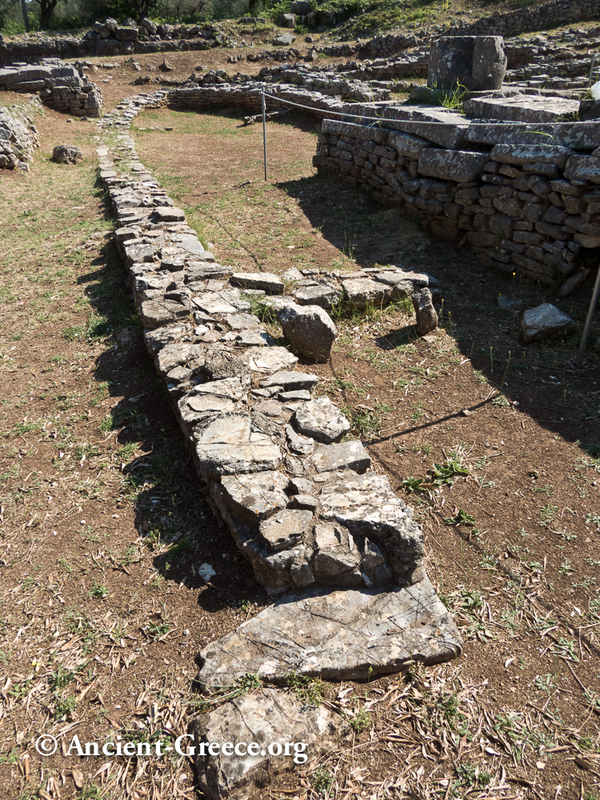 It is 12m wide by 38m long. 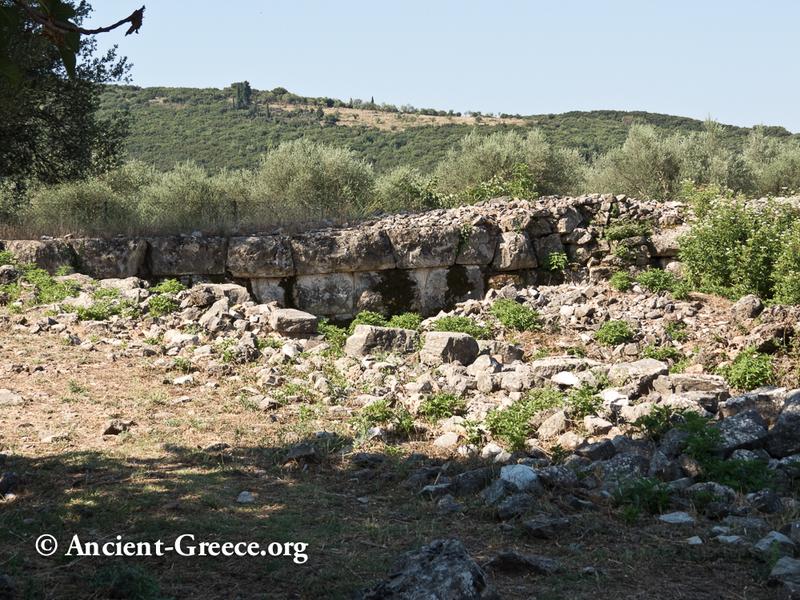 The remains of an earlier temple, identified as Megaron B (7th - 6th c. BCE ), are not visible but exist underneath with a nearly identical orientation. Views of the prehistoric area ruins. General view of the north end of the sanctuary. 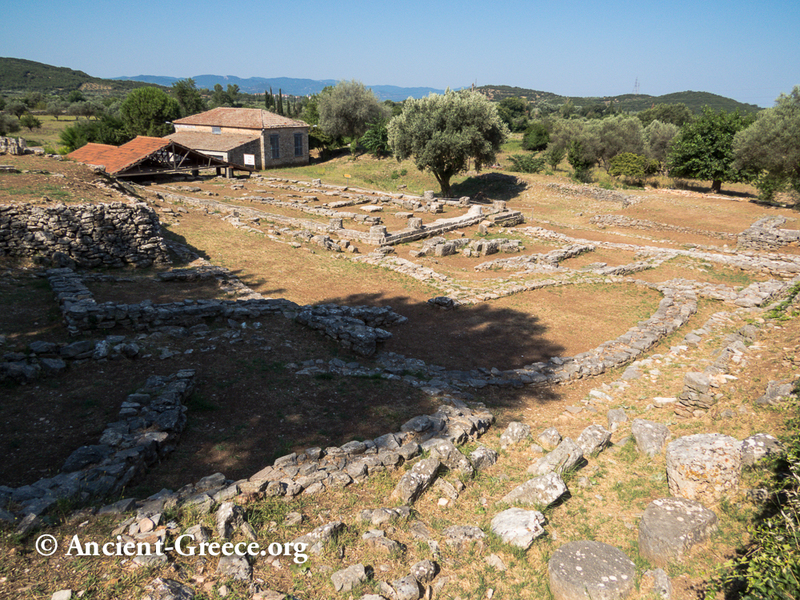 The Prehistoric (Mycenaean) center ruins are on the right. 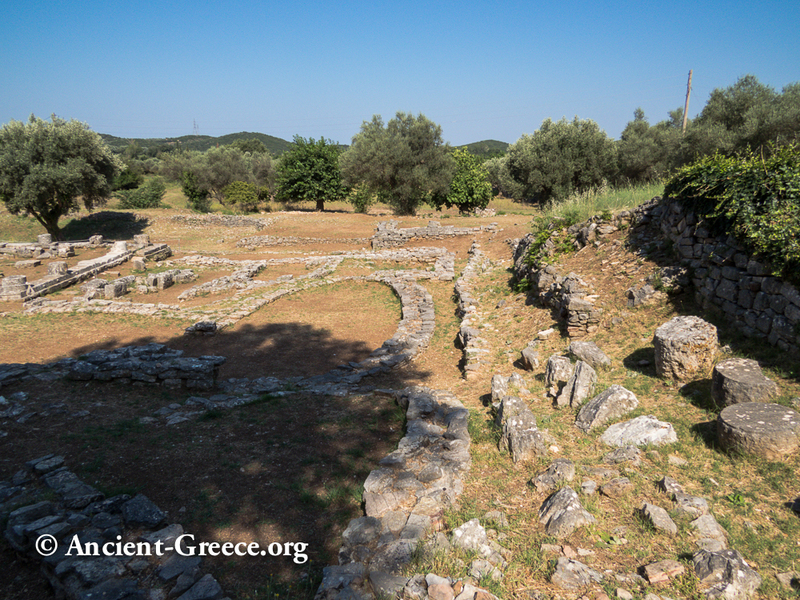 The North end of the Temple of Apollo Thermios is visible on the top left. Megaron A with its arched northern end is visible just beyond a little to the right and near Megaron's north end , the southeast corner of the Temple of Artemis can be seen. 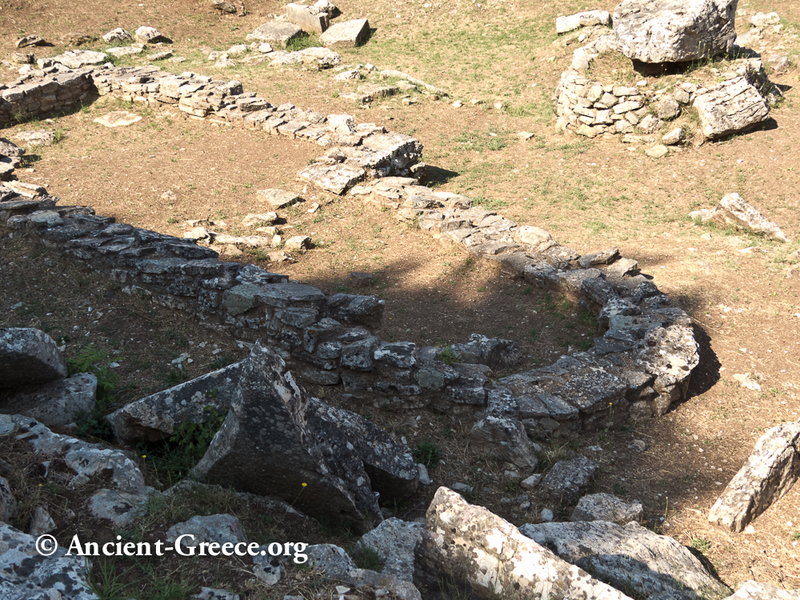 In the foreground, are the scant remains of the temple of Apollo Lyseios. 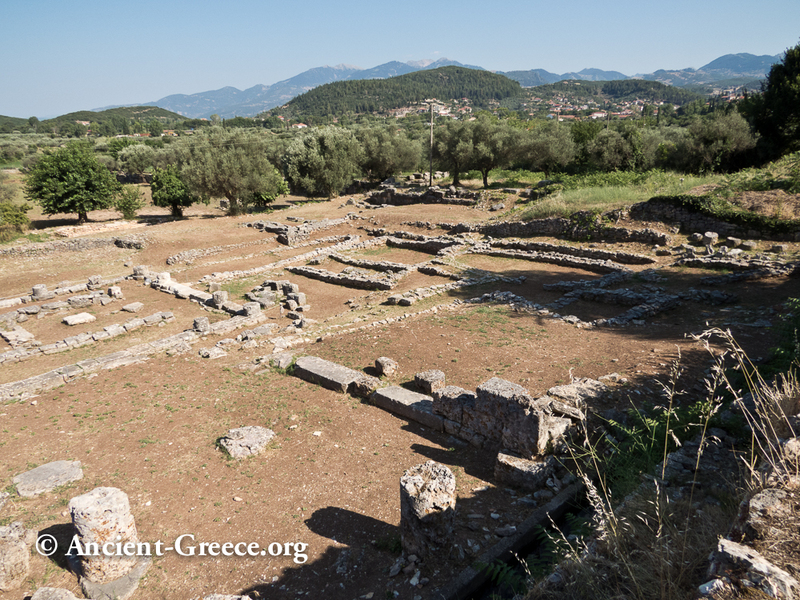 Ruins of the later, Hellenistic Agora which included three Stoas and a building identified as a "Buleuterion". Several semi-circular bases line the facade of the east Stoa. They cradled over 2000 statues. 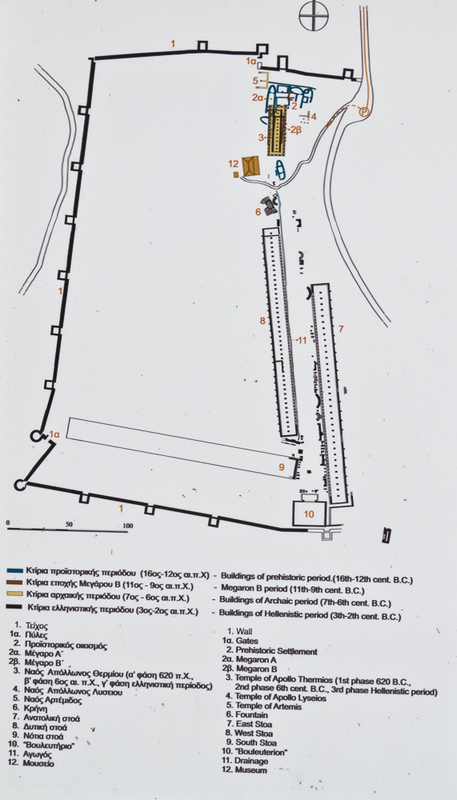 General view of the Agora with the drainage canal visible on the right. 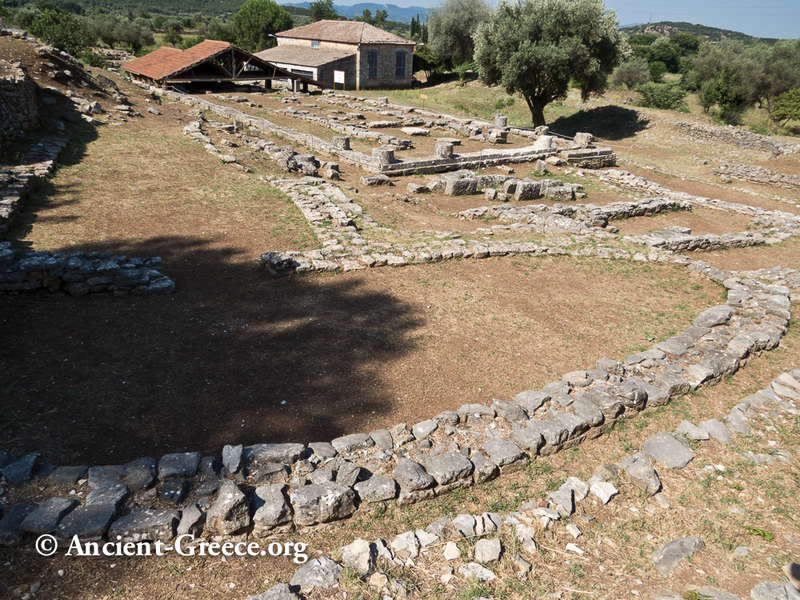 The ruins of the South Stoa. Thermon sanctuary was fortified by a perimeter wall and towers. 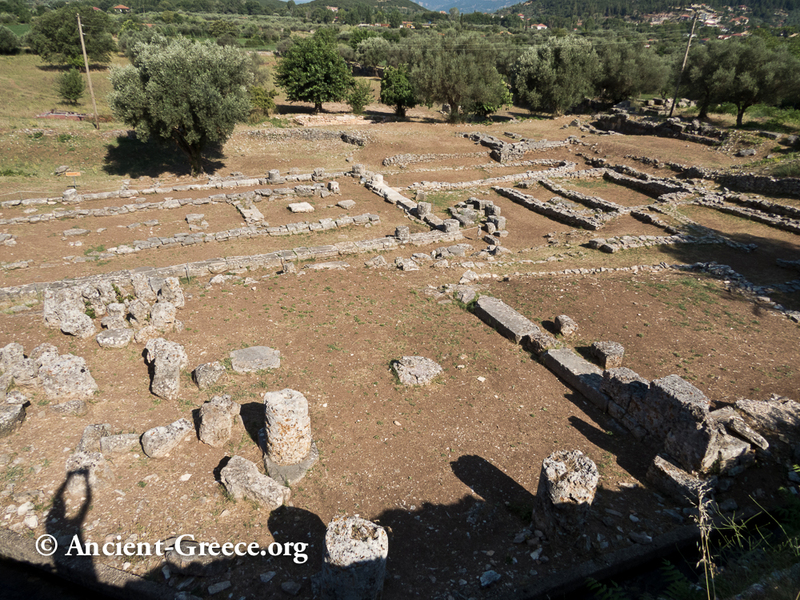 View of the Hellenistic Agora. 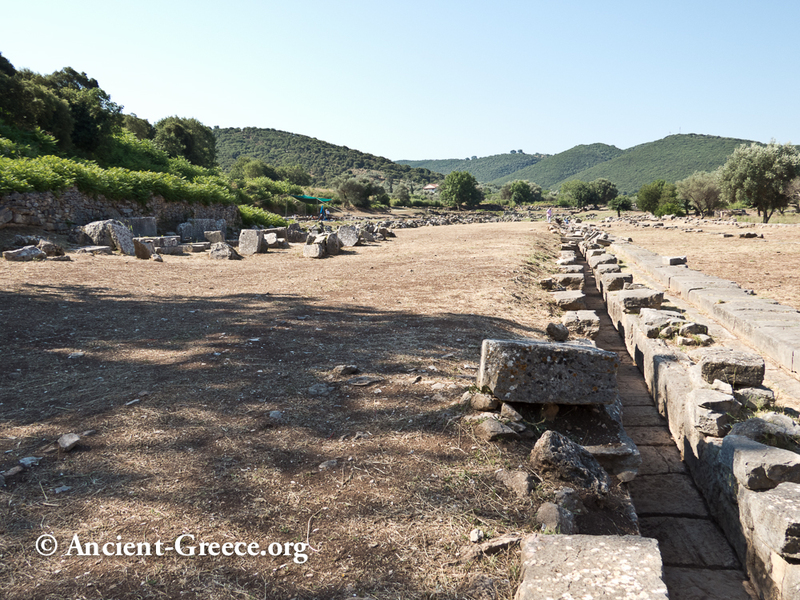 The South Stoa is in the front-left, the East Stoa on the right, and the drainage ditch that framed traced the West Stoa's facade recedes to the background. 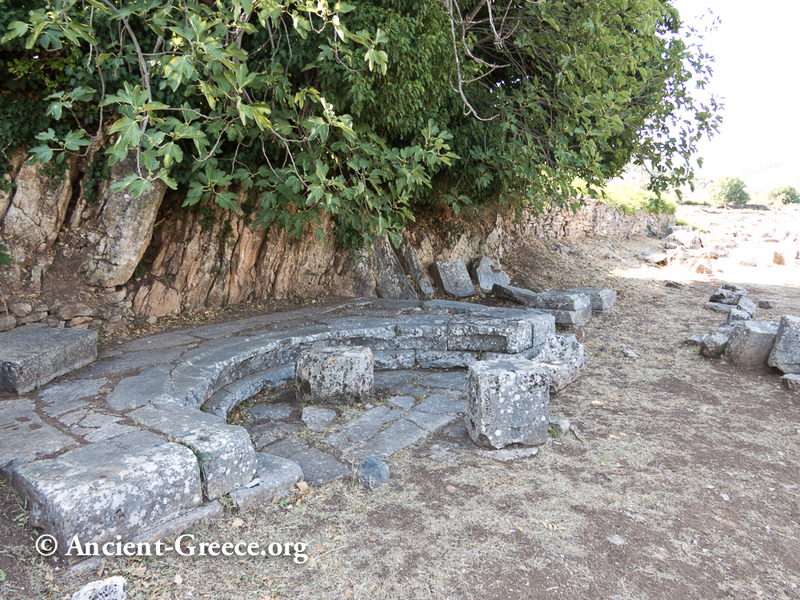 One of the many arched bases that hosted statues. The fountain is still functional today. The ruins date from the 4th c. BCE. 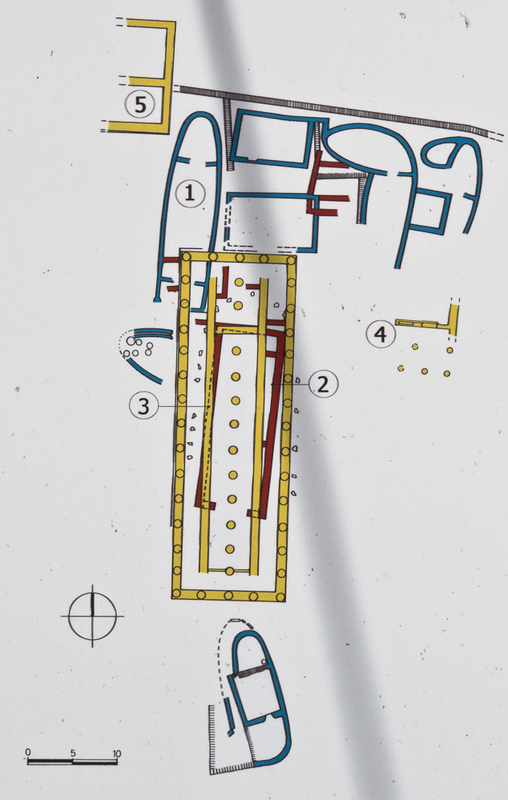 Signs on the Archaeological site provides a basic plan and general orientation, but beyond them no other information is given as you walk the ruins.